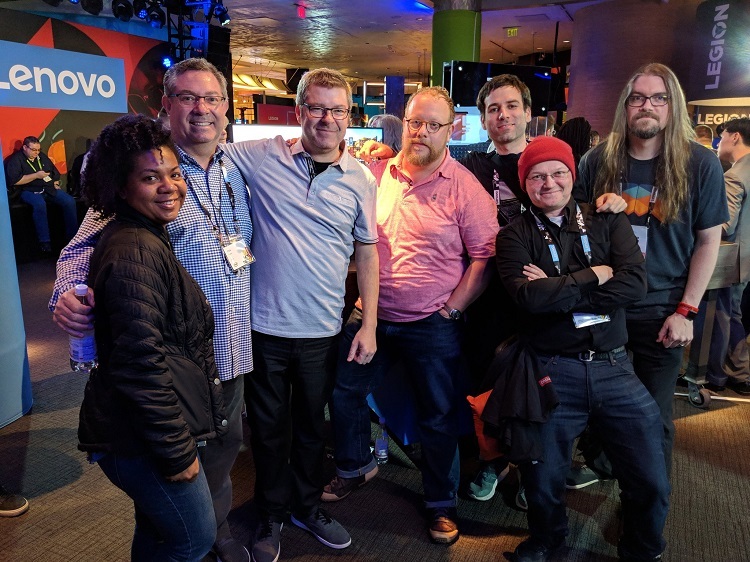 I had an opportunity to attend CES 2019 with Lenovo as a guest Lenovo INsider. This is my second time attending CES with Lenovo and it was an amazing experience. I was able to see products launch in real time and get my hands-on devices, so I can briefly review them and see how they work first hand. 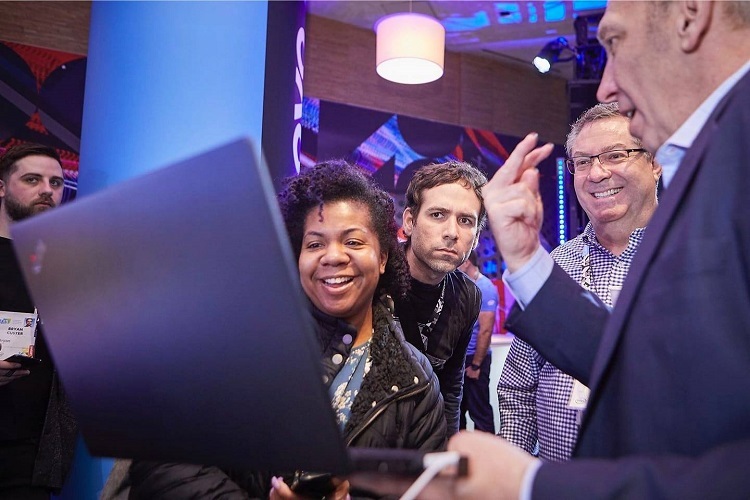 There were also a few opportunities to meet with some of the top executives and hear firsthand what’s next for certain Lenovo products and how they are enhancing the customer experience. While I can’t spill the beans on everything, I will tell you that Lenovo listens and has used feedback from their customers to resolve issues that have been reported and enhance future products. As a Lenovo INsider we have an opportunity to review products and give our personal feedback as well. The Lenovo Forums are also a great place to post your thoughts about specific products or problems you may be experiencing and get assistance fast tracked to being resolved. Now let’s talk about some of the tech goodies that were launched at Lenovo CES and the items that made it to the top of my wish list. 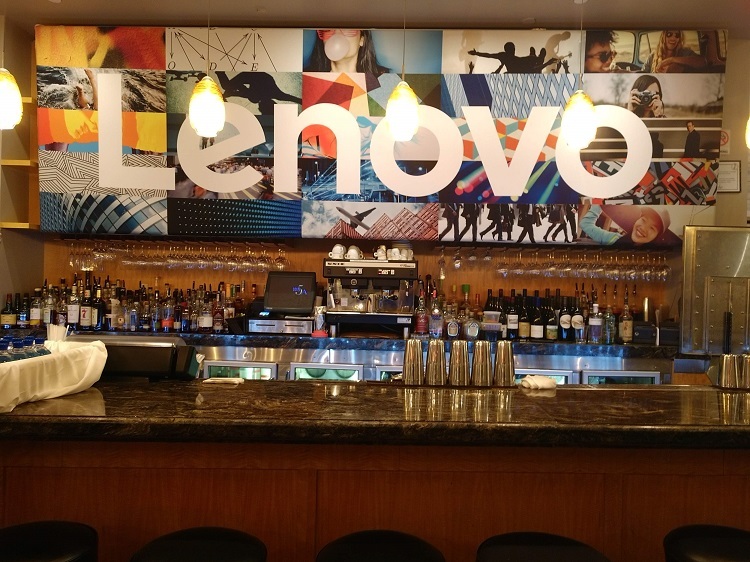 Lenovo took over Aquaknox at the Venetian which served as a showroom for the products as well as a space for media press events and evening parties. 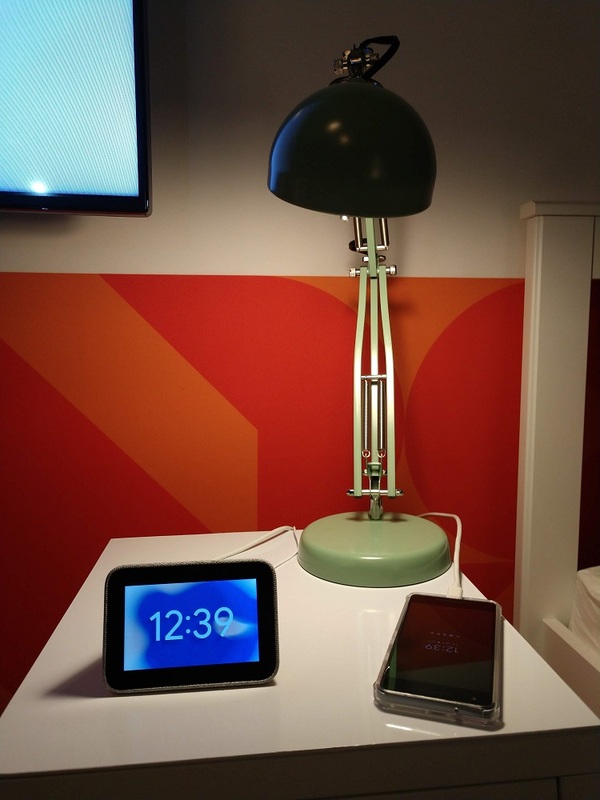 I absolutely loved the Google Smart Home Set up showcasing the NEW Lenovo Smart Clock and Lenovo Smart Assistant. 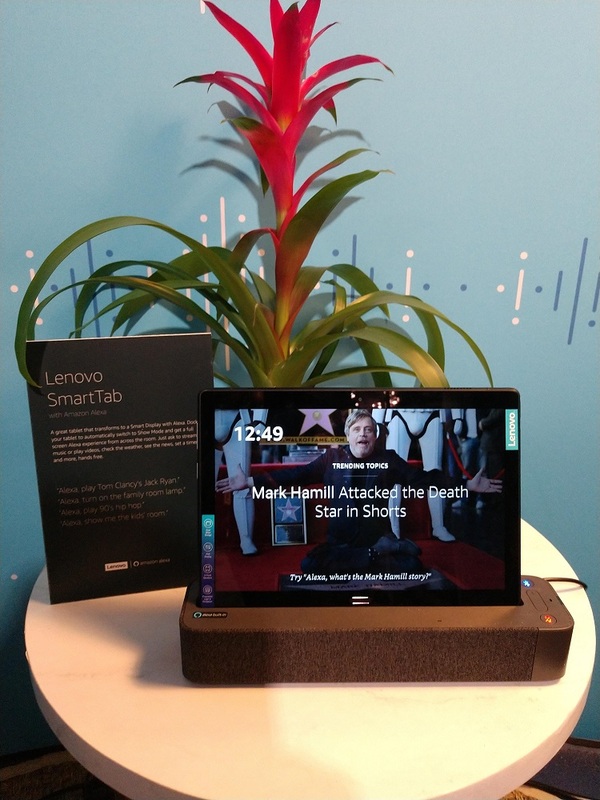 There was also an Amazon Alexa room set up to showcase the NEW Lenovo Smart Tab. The Lenovo Smart Clock will be an addition to my Smart Home as soon as it’s available. It will be a great companion to my Google Home(s) and Google Home Mini. The Lenovo Smart Clock is equipped with Google Assistant and suggests alarms based on your Google Calendar. You have privacy with no camera and you can mute the mic at your leisure. The 4” display screen adapts brightness based on the set alarm and time of day. You can use it as a speaker, cast to your TV and even control your smart home. I’m sold, and pricing starts at $79.99 USD. I think it will easily be among my smart home favorites, I schedule EVERYTHING and use my Google Assistant constantly. You can even charge your phone! I’m in a committed relationship with the Lenovo YOGA product line. Funny thing is that I started on a ThinkPad and then was introduced to the YOGA 2 Pro and it’s been YOGA ever since. 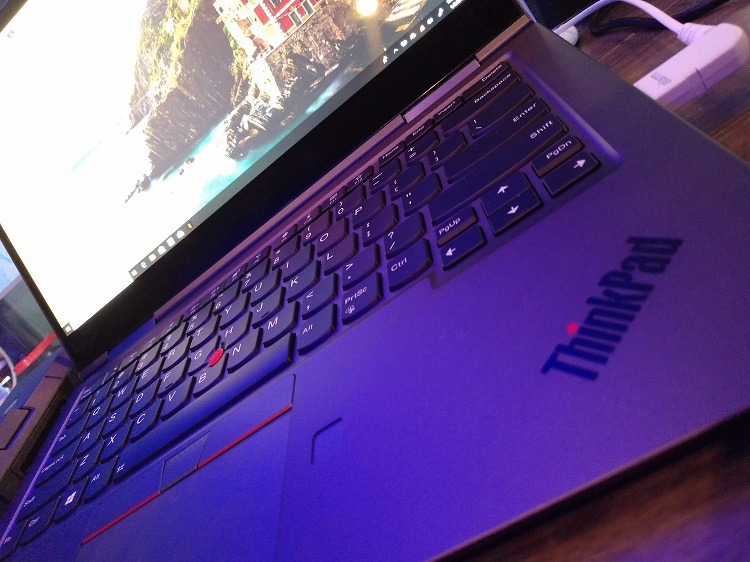 I fell in love with the Lenovo ThinkPad X1 YOGA. I want the sleek flexibility and style along with the strength to support my work. I use my laptop for everything. 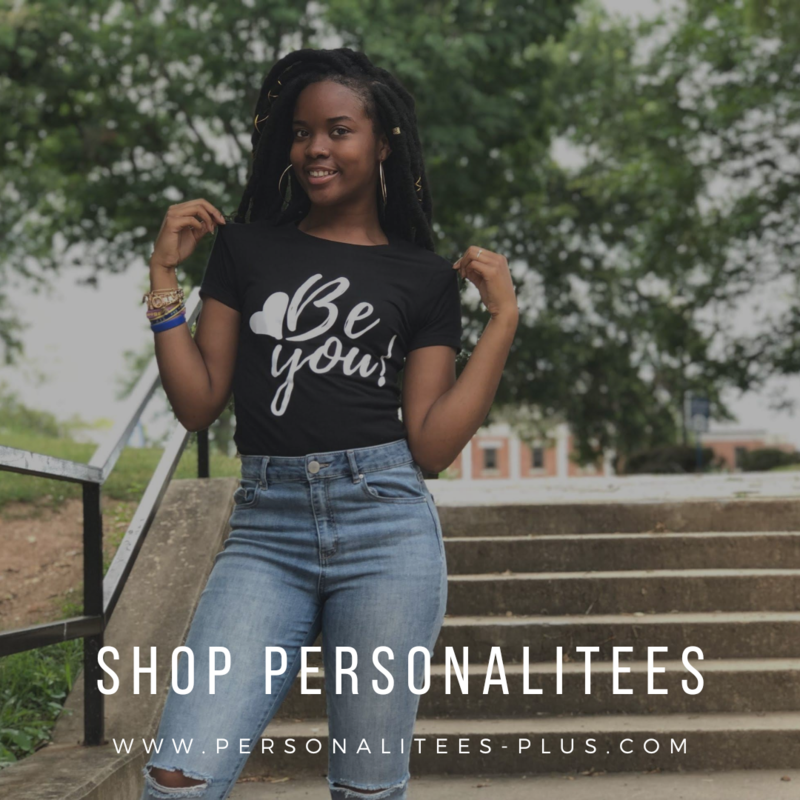 I work FT remotely, attend virtual meetings, run two online businesses, I am a lifestyle blogger and digital influencer. I record a weekly podcast and pretty much am on my laptop 24/7! The ThinkPad Lenovo X1 YOGA is built to sustain ongoing activity which is what I need. You get up to 15 hours of battery life and it also has RapidCharge technology if your battery gets low. 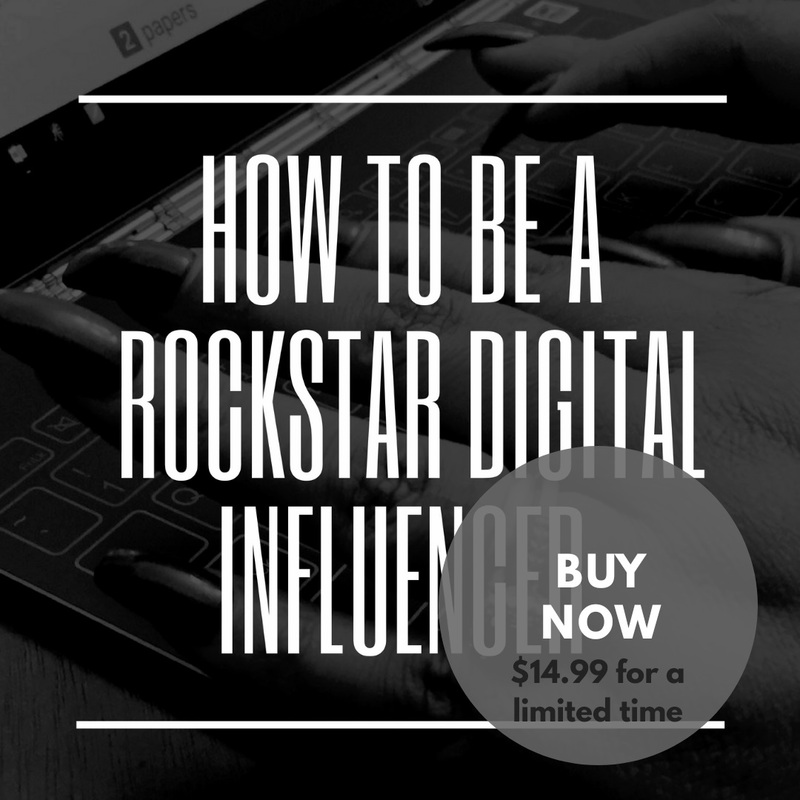 In an hour you can increase your battery up to 12 hours. This is a huge deal for me, especially when traveling. I’m impressed by ThinkShield and wish it was available on ALL Lenovo laptops. The Identity security and auto privacy screen are top priorities for me. There’s nothing like being annoyed when you are working, and someone is looking over your shoulder. Most times I try to have my back against a wall. I like the ease of fingerprint recognition to unlock your laptop, ThinkShutter to protect your privacy with your webcam and the ThinkPad Active Pen. This is on my wish list and it’s in the YOGA family so, I’m not cheating! Next Up, I couldn’t get enough of the Lenovo LEGION product line. The C730 and Y44w 43.4-inch curved monitor was drool worthy. 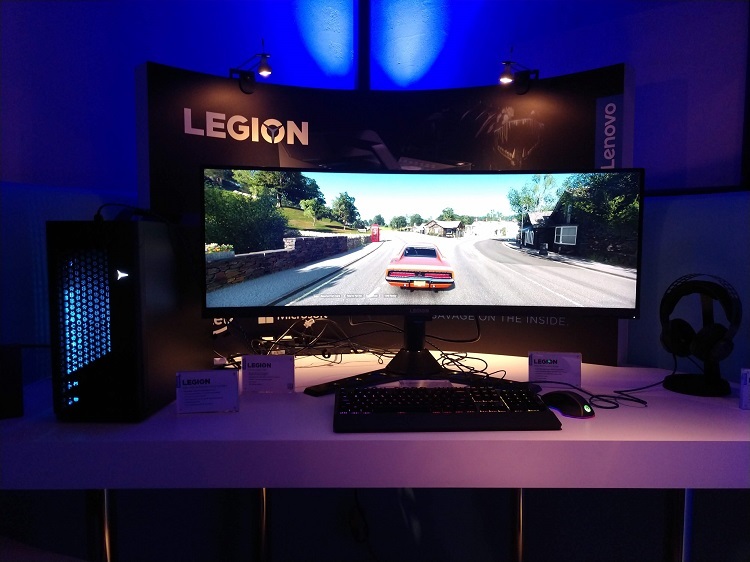 I mean I’m not much of a computer gamer but, just want them for the style and other performance capabilities. The graphics are amazing and that keyboard… swoon! The LEGION Tagline is “Stylish on the outside, savage on the inside” I’m in total agreement with this! Their machines are sleek and stylish and a beast when it comes to performance. I really don’t need another Tablet in my life but, the NEW Lenovo Smart Tablet P10 with Alexa built-in is making it so hard to resist. It’s a 2 in 1 Android based Tablet with a smart dock equipped with Amazon Alexa. The dock doubles as a speaker and creates an Echo Show device. It’s impressive and sounds GREAT! I had an opportunity to see it in action first hand with a demo. There are two tablets available to choose from with a slightly different price tag. 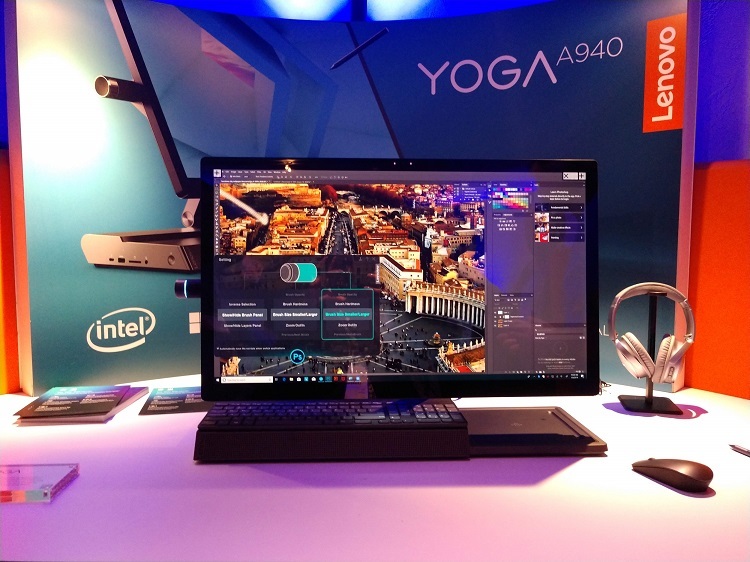 The Lenovo YOGA A940 is a digital creators dream. It’s an all in one desktop equipped with a dual rotating hinge that tilts down to a 25-degree angle. It has a 24-inch 4K display touch screen with active pen to sketch. It’s compact and even has a wireless charging dock for your phone and a storage area for your active pen. I could play in PhotoShop on this all day! I’ve given you just a glimpse of what I experienced at Lenovo CES. Head over to the official Lenovo CES webpage to see more products that were launched. Wow!! amazing technology and a new update for the modern lifestyle. Lenovo brings creative and gorgeous modern technologies for us. Thanks for sharing a great new with us.